Precova is a company set up in 1992 dedicated to the conservation of roads and highways. It has been specialized in surface treatments, emphasizing on seals application. It´s main objective is the improvement and innovation of seal application technologies. 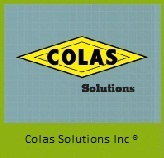 Colas ®﻿, is the leading company in construction and road maintenance worldwide with afiliations in the five continents. Colas Solutions Inc ®, one of its subsidiaries in America,﻿﻿ have recognized Mexico, for this reason, Precova has acquired the license of Mexican Patent introducing to the country the "Reinforced Fiber Glass Seal". This solution with innovating technology, allows to extend pavement´s life, delaying its cracking and avoiding the propagation of it. Nowadays, roads are facing majors carry loads, which generate a bigger deterioration in pavement in a shorter time. The continuous maintenance that these require and the investment of public funds that represents, sinop otelleri has created the necessity to develop a product that extends life and avoids the deterioration of pavement surface in the short term.